Impress guests with your culinary creations with this built-in electric single oven from AEG. It’s multifunctional, so it offers lots of cooking functions to choose from – letting you experiment with new, exciting cuisines. 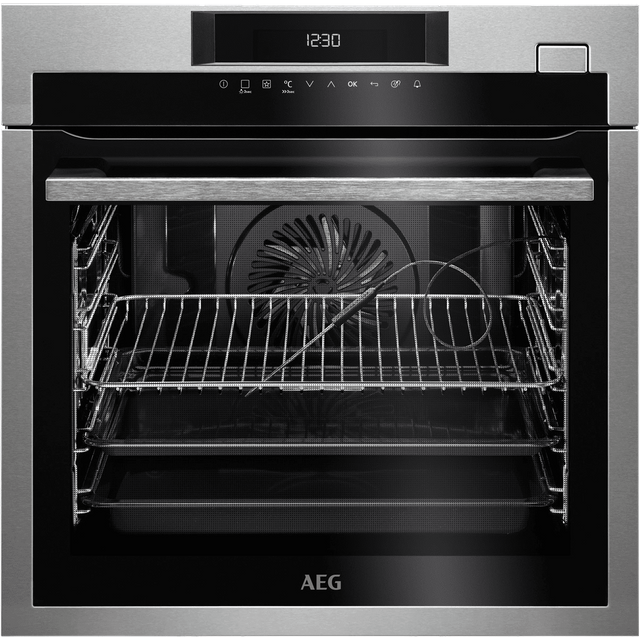 This oven has a 43 litre capacity too, which means it’s a perfect model for medium-sized households. 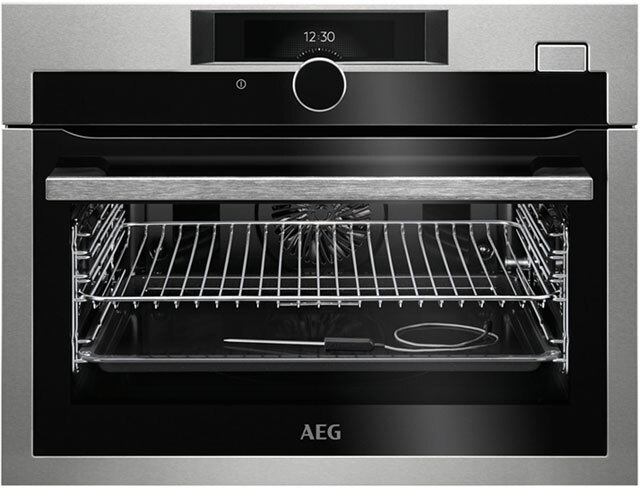 When you’re cooking delicious fish dishes, the clever SteamBoost function gently cooks by adding steam. This gives incredibly tender results while preserving the food’s natural colours, nutrients and flavours. With a grease-proof enamel interior, food splatters won’t stick inside either, so it just needs wiping clean. 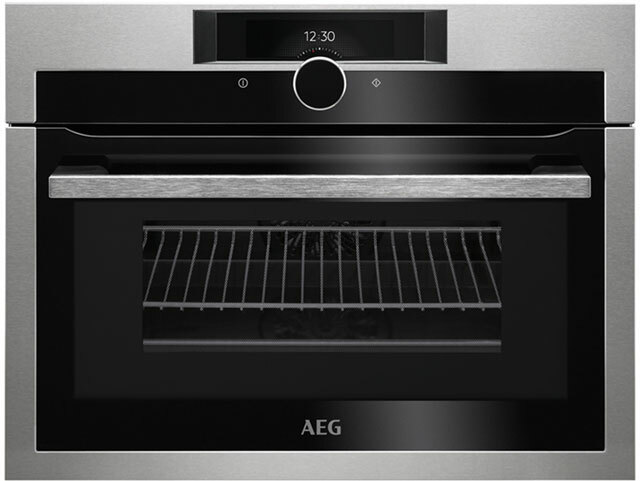 Want to make sure this compact single oven will fit in your kitchen? Check out our handy measurement guide video. We’ll show you everything you need to know about measuring up in just a few simple steps, so your new appliance will fit like a glove.